Steeped in ancient Zoroastrian tradition, Persian weddings are elaborate celebrations that bring together extended family and friends for feasting, dancing and plenty of playful rituals. Despite the changing religious and secular beliefs of Iran and its neighboring regions, Persian wedding traditions have retained many of their long-established rites, which provide for enchanting wedding day photography. 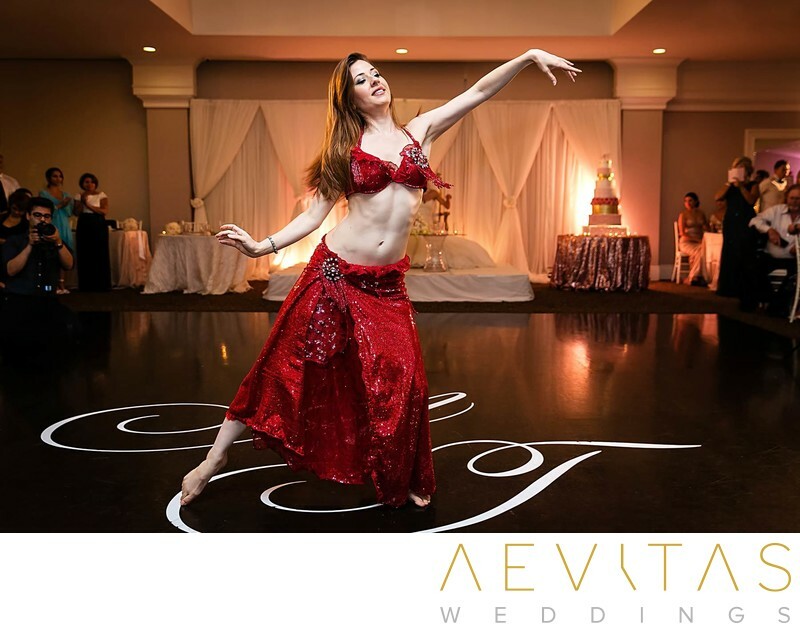 They include pre-wedding day rituals such as the Baleh Boran engagement ceremony and Hana Bandan henna party - a Persian “hen’s day” where the women adorn their hands in traditional motifs and build anticipation for the union that lies ahead. 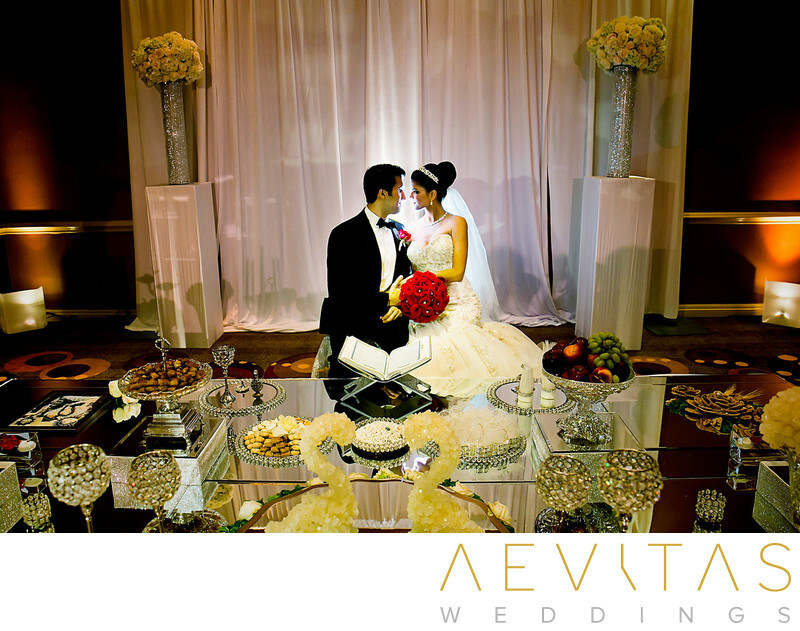 The ceremony itself, known as Aghd, is both a reflection of the bride and groom’s faith, as well as Persian traditions that go beyond religious beliefs, with the Sofreye Aghd table and its symbolic food and decorations at its heart. Although the Aghd is often a short and intimate event, the Jashn-e Aroosi reception is not, with an extended guest list feasting on a lavish traditional Persian buffet, while accompanied by traditional music and dance performances well into the night. Persian weddings are an important family event, with members arriving from out-of-town and abroad, to celebrate the union of two families whilst indulging in their rich cultural heritage and traditions. The Jahaz Baran is held a few days before the wedding ceremony and sees presents from the groom’s family taken to the bride’s house by men dressed in festive costumes. They carry the gifts in large containers known as tabagh (with the ceremony often referred to as Tabagh Baran), resulting in what is a traditional Persian bridal shower. Held one day before the wedding ceremony, the Hana Bandan henna party is a traditional celebration that sees the bride and her female friends and family come together to adorn their hands in henna and prepare for the wedding day that lies ahead. In traditional Persian culture, the groom sends a khoncheh wooden tray to the bride’s home, containing seven brass or silver bowls of freshly prepared henna which are surrounded by candles and coins. The veiled bride is escorted into the middle of the gathering and sung folk songs by the women around her as her hands are lovingly painted with henna. 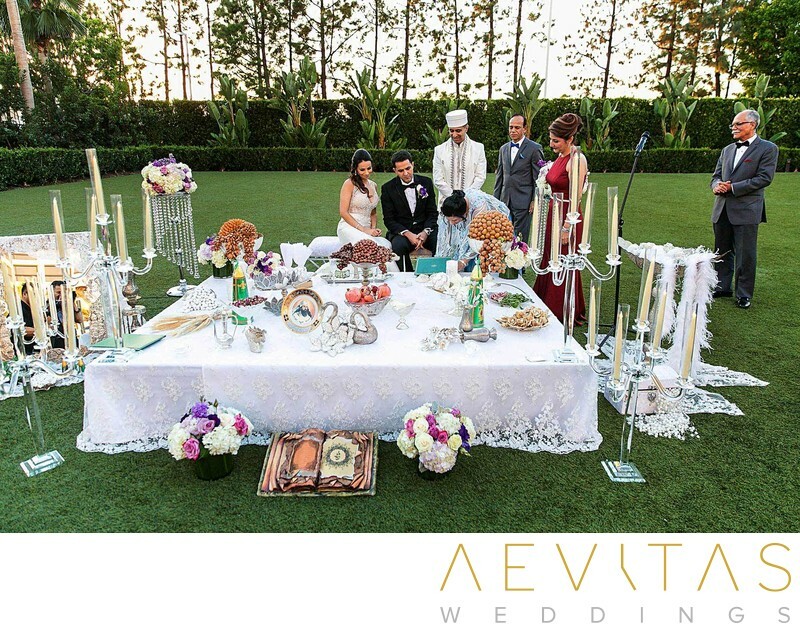 The traditional Persian Aghd ceremony begins with the groom seated in front of the Sofreye Aghd table and beneath a canopy held by both the bride and groom’s female family members. His veiled bride walks into the ceremony, preceded by a burning incense known as esfand to ward off the evil eye, and takes her seat to the left of the groom. The proceedings generally start with the reading of verses from the Qu’ran by the officiant, or in secular wedding the Persian poetry of Hafez, Rumi or Sa’adi is spoken. The officiant then asks for the consent of the bride and groom, with the groom’s response coming swiftly and the bride’s with a playful hesitation. This prompts jovial excuses from the audience, such as “the bride has gone out to pick flowers”, until on the third request for consent she responds: “with the permission of my father and mother”. 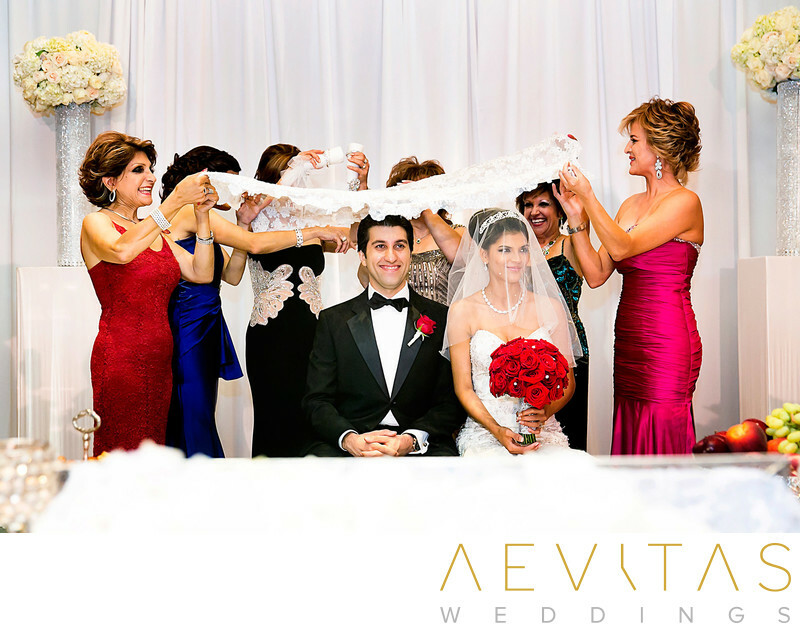 After the groom lifts his bride’s veil, they witness their reflection together in the Mirror of Fate, symbolizing their life together in eternity. 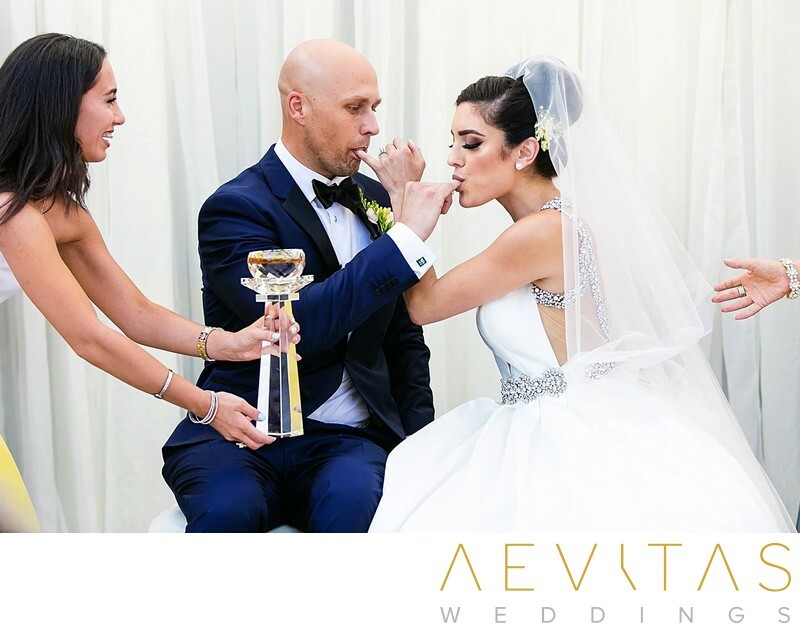 They then feed each other honey in a symbolic gesture of the sweetness and sustenance of their married life, before the groom finally kiss his bride. 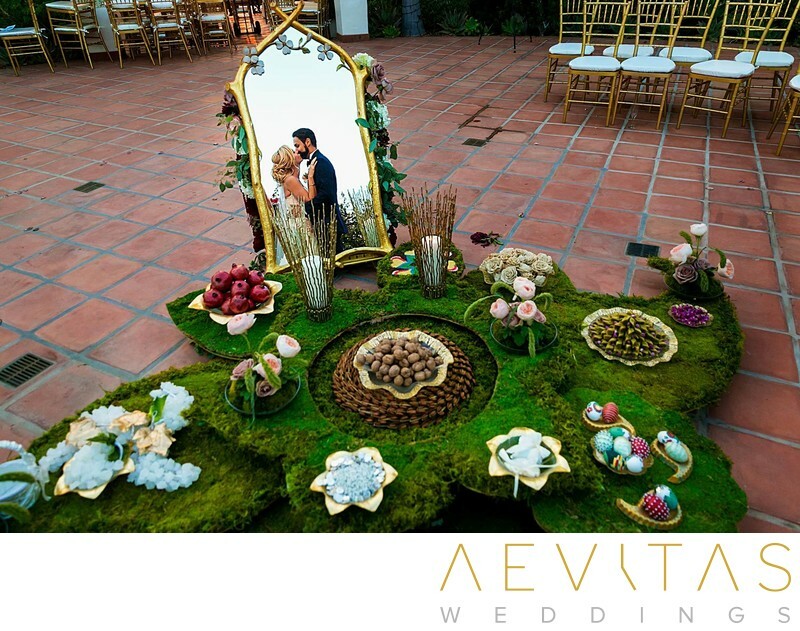 One of the most important elements of Persian weddings is the Sofreye Aghd - a ceremonial wedding table that is laid before the couple and is spread with food and decorations which are imbued with symbolic meaning. This Zoroastrian tradition includes not only herbs, pastries, breads, fruits and honey, but also a mirror, two candelabras, esphand, frankincense, sacred texts and a prayer rug. Each item has a unique meaning in Persian tradition and is present to bring good health, prosperity and fertility to the couple. The Jashn-e Aroosi is the elaborate Persian wedding reception, traditionally held over multiple days, but in modern celebrations on the evening following the Aghd. In addition to a lavish buffet that could feed far more guests than were ever invited, it also includes traditional dances, such as the Raghse Chaghoo “knife dance”. This takes place during the cutting of the cake, with wedding guests taking turns to steal the knife and dancing with it until they are offered ransom money by the couple. A Persian wedding is steeped in ancient customs and cultural rituals, and we love the opportunity to capture these through beautiful and compelling wedding photography. 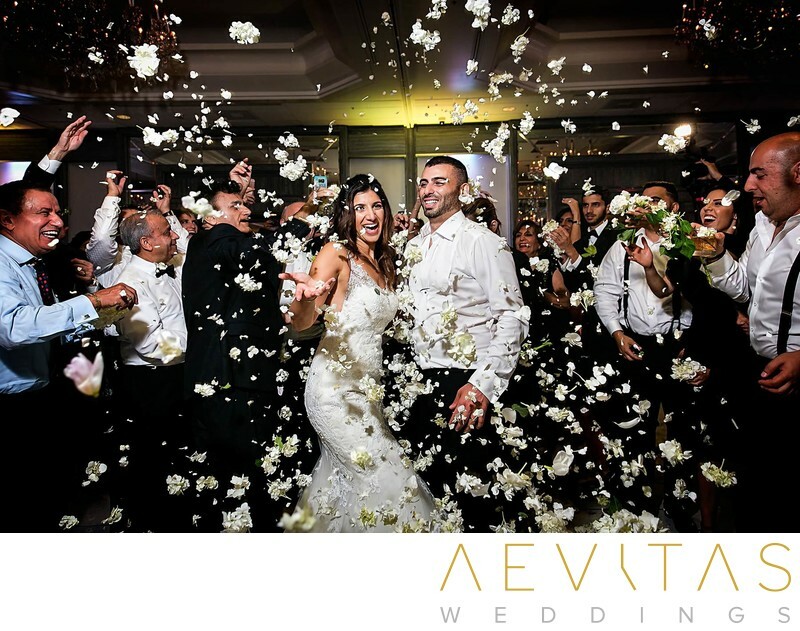 We love that Persian wedding celebrations are often held over multiple days and are ready to capture each and every element you want documented. From the Hana Bandan henna party to all the rituals of the Aghd, Persian weddings are filled with raw emotions and special family moments that we love to photograph as sentimental memories of your wedding celebrations. 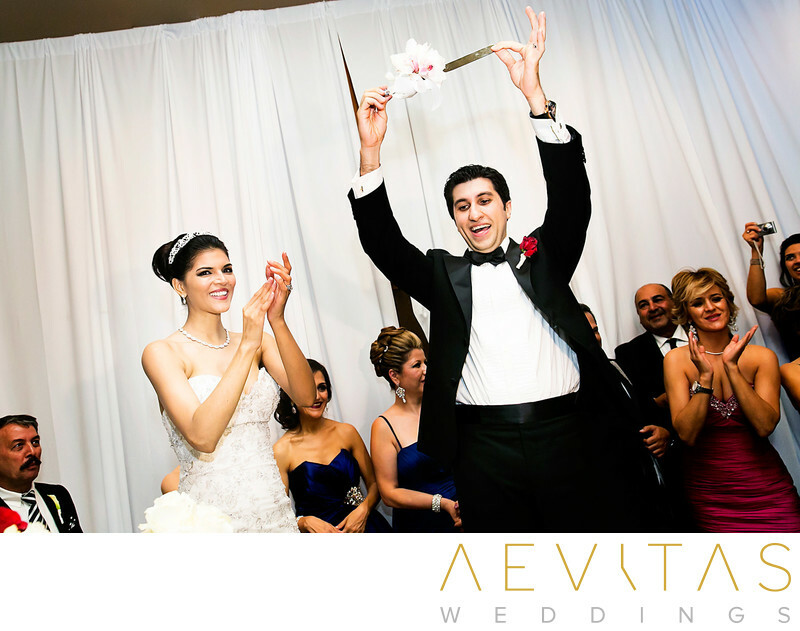 We love all the playful traditions of Persian wedding celebrations, including the Raghse Chaghu “knife dance” and the bride’s hesitation to consent to the marriage, and have a lot of fun capturing these through creative photography. 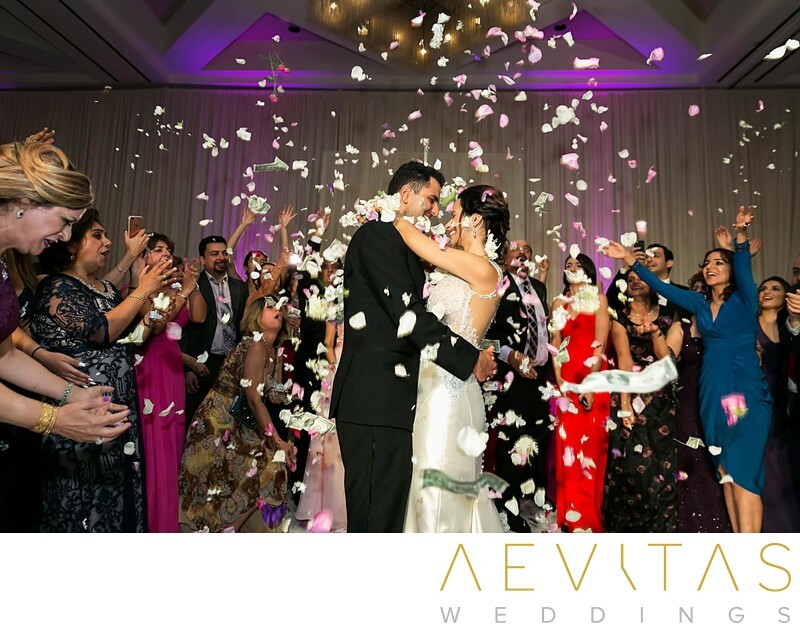 We know that Persian weddings are often large scale events, with extended family and friends, and always bring a team of photographers, led by yours truly (Henry Chen) to capture each and every moment. If you are opting for a traditional Baleh Boran engagement announcement ceremony, we are more than happy to be on hand to photograph this momentous occasion too. We understand that the Hana Bandan henna party is a special moment for the bride and her female family and friends to bond, and are on hand to capture all the intimate candid moments and emotional exchanges that make this time to special. We know that your Sofreye Aghd table is filled with items that hold a special meaning to you, your family and your culture, and take the time to photograph each and every detail before the Aghd ceremony begins. 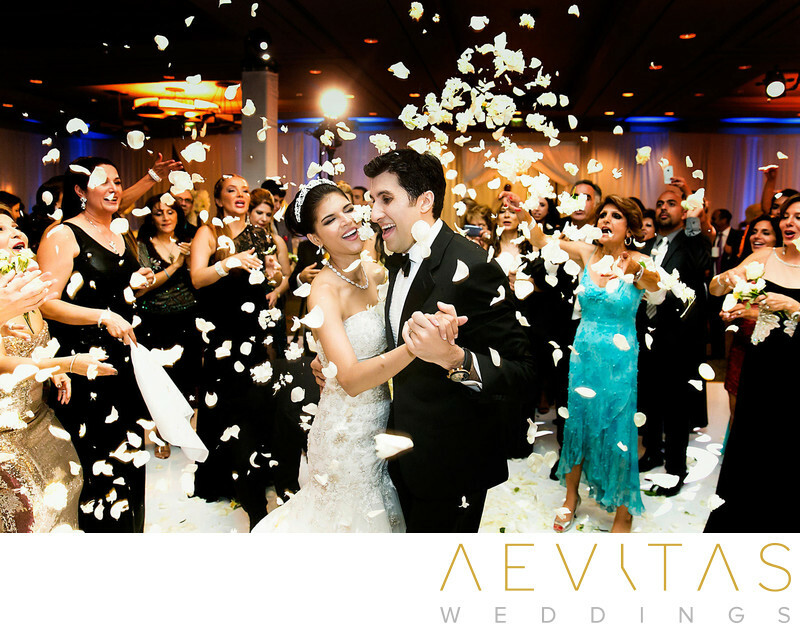 We understand the importance of the Mirror of Fate during your Aghd ceremony and love to capture creative reflective portraits as you look into your future eternity as man and wife. We use high quality camera equipment and state-of-the-art lighting to capture all the festive celebration and dancing of your Jashn-e Aroosi, freezing all the action into vibrant wedding day photography. 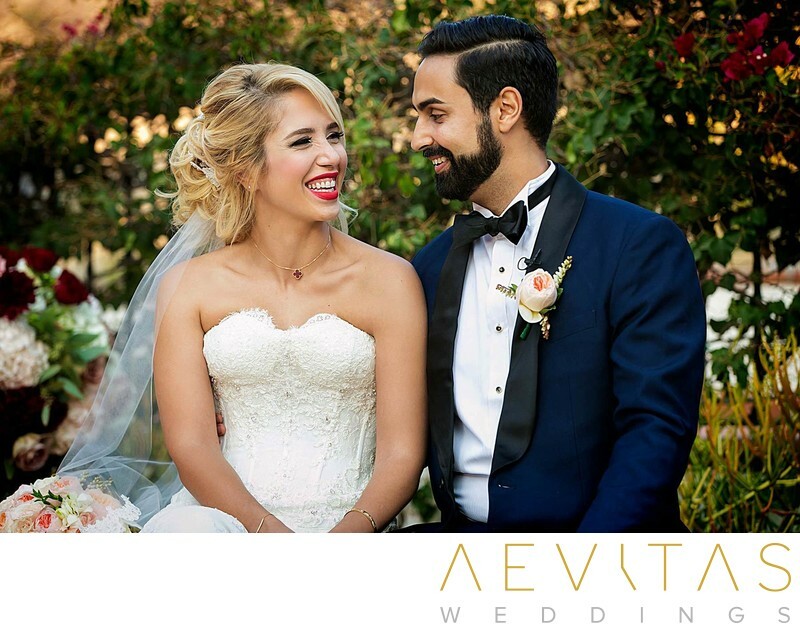 We know that Persian weddings can be of different religions, or sometimes even secular events, and are always respectful of our couple’s faith and its customs. 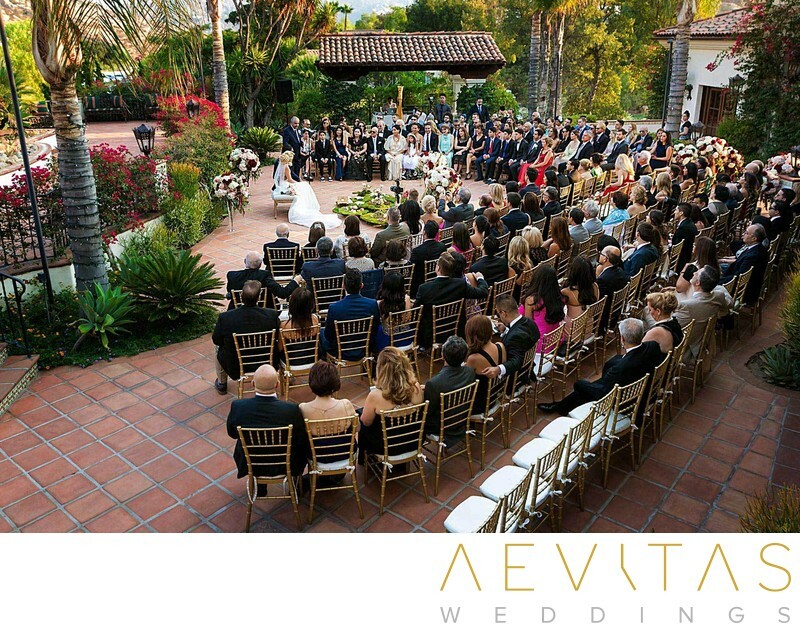 If you are planning a large scale Persian wedding, with multiple events and wedding vendors to coordinate, we highly recommend you hire a wedding planner to take care of all the logistical details, ensuring everything runs as smoothly as possible and you can just relax and enjoy each and every moment. 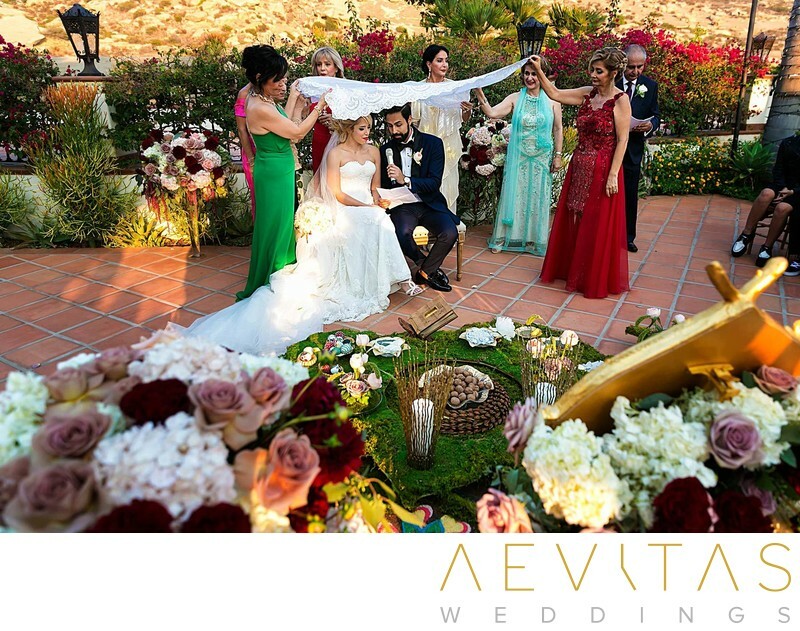 Whether you are opting for a strictly traditional Persian wedding, or just want to incorporate a few cultural elements, discuss with your wedding planner how best to combine them into a smooth-flowing wedding day and make sure your photographer is informed of the schedule so they can be in the right place at the right time. Allow plenty of time for your wedding photographer to document all the details of your Sofreye Aghd table before your ceremony, and request access for them near the front of your Aghd so they can incorporate these important items into your ceremony images. 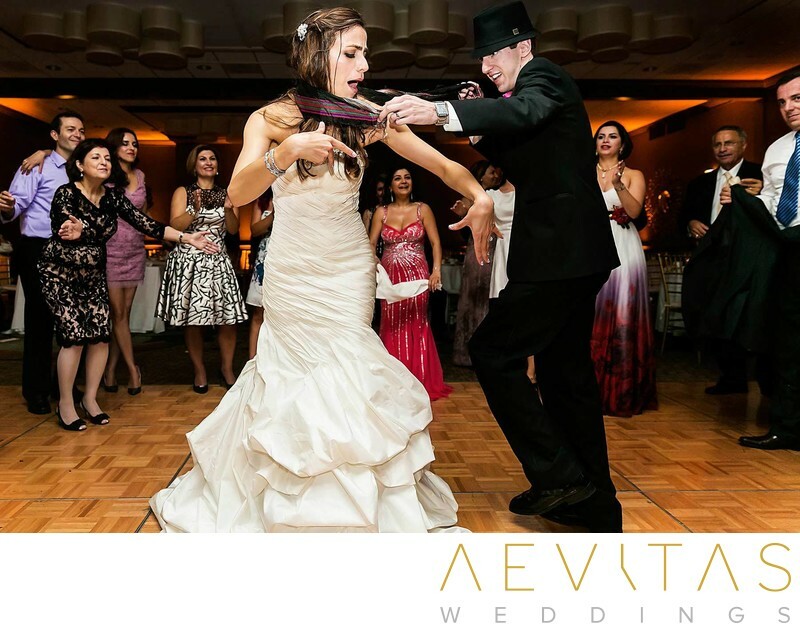 When writing your wedding invitations, make sure your guests know if they are invited to the Hana Bandan or Baleh Boran ceremonies, and give them some some dress code inspiration so they can get into the Persian wedding spirit!